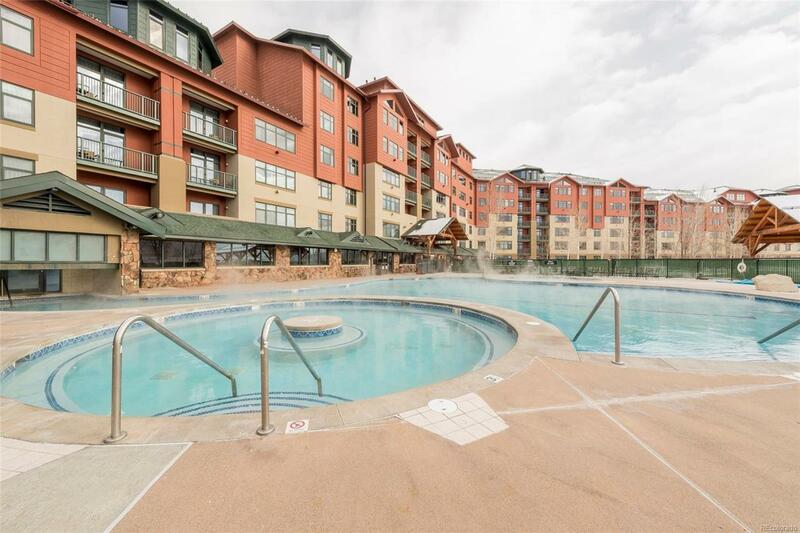 Quarter share fractional ownership at the Steamboat Grand, located just steps to Gondola Square where the activity in Steamboat Springs begins. This unit is on the 4th Floor with picture windows overlooking the rear pavilion and Emerald Mountain. The interior of this condominium includes a large entry, granite kitchen counters, open living area and comfortable dining space. The master bedroom includes its own private deck. The adjacent suite with lock-off option includes 2 queen beds and makes this an ideal unit for potential rental income with multiple rental options. The Nordic floor plan has a superb layout with day beds, pullout sofa sleeper, gas fireplace and fully-equipped kitchen. Amenities on the property are second to none and include a massive outdoor pool, hot tubs, owners lounge, full-service spa, concierge, underground parking and ski valet. Offered by Steamboat Sotheby's International Realty. The Dixon Group at Keller Williams Integrity- Licensed in the State of Colorado. The real estate listing information and related content displayed on this site is provided exclusively for consumers’ personal, non-commercial use and may not be used for any purpose other than to identify prospective properties consumers may be interested in purchasing. This information and related content is deemed reliable but is not guaranteed accurate by the Pikes Peak REALTOR® Services Corp. Data last updated 2019-04-21T16:40:50.067. © 2019 Information and Real Estate Services, LLC. IDX information is provided exclusively for consumers' personal, non-commercial use and may not be used for any purpose other than to identify prospective properties consumers may be interested in purchasing. Information is deemed reliable but is not guaranteed accurate by the MLS or The Dixon Group at Keller Williams Integrity. Data last updated: 2019-04-21T16:37:41.603.